Irrigation Systems, Lakeland | The Other Side Pest Control Inc. Irrigation Systems, Lakeland | The Other Side Pest Control Inc.
We can help you achieve a healthy, green lawn with our services for irrigation systems in Lakeland, FL. Your lawn needs water to grow and survive. However, too much water or too little water can harm it. At The Other Side Lawn & Ornamental Pest Control Inc., we understand that your lawn is an asset to your property in Lakeland, Florida, and we are here to help you achieve a healthy, green lawn with our services for irrigation systems. One of our services for irrigation systems involves irrigation system analyses. When you turn to us, we can help you determine if your irrigation system is working effectively and whether your lawn is suffering in certain places because it isn’t receiving enough water. Because we are committed to providing our customers with the results they expect, you can rest assured that we will provide you with solutions that you can trust. When it comes to irrigation systems, we are also here to provide you with valuable information relating to how you can use your property’s system to your advantage. For example, we recommend watering your lawn infrequently and deeply. You should also avoid watering your lawn between the hours of 11 a.m. and 3 p.m., which is the hottest part of the day. 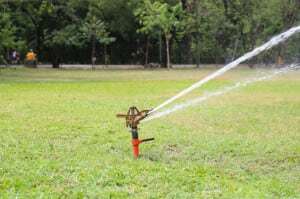 Typically, the best time to water your lawn is in the early morning. At The Other Side Lawn & Ornamental Pest Control Inc., we are committed to providing you with irrigation system services that are affordable and complemented by friendly and professional service. To find out more about how we can help you with your home’s irrigation system, give us a call today. At The Other Side Lawn & Ornamental Pest Control Inc., we offer services for irrigation systems in Lakeland, Auburndale, Bartow, Plant City, Winter Haven, Davenport, Lake Wales, Brandon, Polk City, Highland City, Crystal Lake, Eaton Park, and Winston, Florida.